Why Yo Yo Dieting is Bad and How to Stop the Cycle and Still Lose Weight! 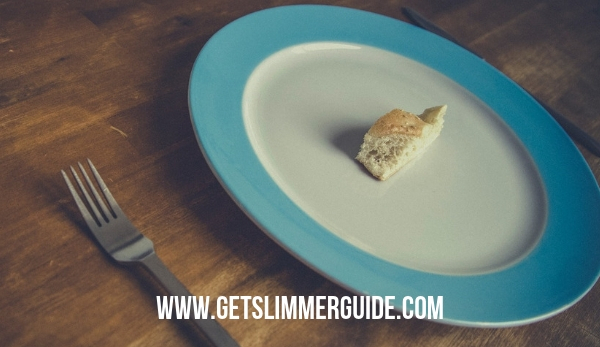 Why Yo Yo Dieting is Bad for YOU and How to Stop and Still Lose Weight! Have you been yo yo dieting to lose weight? It’s time you stopped because it’s NOT good for your health. Today, we will be discussing why yo yo dieting is bad for you and how to stop and break the vicious cycle. Many women go on diets for short periods of time, often eating far fewer calories (and nutrients) than their body needs. After a couple of weeks or even a couple of months, this extreme calorie deficit leads to fatigue, brain fog, hormonal imbalance, and what could be the worst of all, metabolic damage. This means that after a period of under-eating, our bodies cry out for more fuel, and this can lead to overeating and weight gain, even more than you were initially trying to lose. So we jump back on the wagon, eating far fewer calories than our body needs, and the cycle continues. We justify wanting to lose those 5 or 10 pounds for a wedding, vacation, or other special events, and we think we aren’t causing any lasting harm by cutting calories so drastically for a short time. Yo Yo Dieting also known as weight cycling can be harmful both in the short term and the long term, and can sabotage any effort at lasting weight loss. It does not only sabotage your weight loss efforts but is also dangerous to your health. While going on a crash diet just once is unlikely to cause lasting damage, the problem is that this cycle becomes repetitive, and this habit of yo-yo dieting can cause many problems, including heart problems. Losing weight so fast and regaining it put too much load on the heart. Remember, when you lose weight you also lose some muscles including heart muscles. So, when done repeatedly, yo yo dieting can lead to cardiovascular mobility. This includes hypertension, increased heart rate and insulin resistance. This weight yo-yo can be a difficult hamster wheel to get off of, since you may feel like you aren’t pursuing your weight loss aggressively enough. Keep in mind that you didn’t get to where you are now overnight, which means you won’t lose all the weight overnight either. The key here is consistency and making healthy choices on the way. How to Stop Yo Yo Dieting Cycle and Lose Weight and Keep it Off! A healthy body has an easier time losing weight than one that’s stressed and depleted of nutrients. Create a meal plan that is full of healthy and fresh vegetables and fruits, protein, the right kinds of fats, a little starch, and minimal added sugars. Every woman will have a different caloric requirement based on height, weight, age, and activity level. But as a general guideline, most women need about 1500 calories per day. To lose weight and not have negative health effects, don’t eat less than 1200 calories per day. This will ensure that you have fuel for your normal daily activities, you’ll remain clear-headed, and you’ll still have the energy for a workout. It’s realistic to lose 1-2 pounds of weight per week, but weight loss isn’t usually a straight line. Some weeks you won’t lose anything, others you can lose more than 5 pounds. There are many factors at play, including water retention and hormonal shifts, so celebrate the victories and don’t get discouraged when the scale is stuck for a week or two. A lot of the women who go through yo-yo dieting choose drastic plans that are neither sustainable for more than a couple of weeks nor are they pleasant to stick to. The options just aren’t enjoyable, and you’re hungry all the time! Instead, base your diet around the foods you genuinely enjoy eating. Find ways to make your options both healthier and lighter, substituting vegetables, adding seasonings, and swapping out high calorie foods for their equally filling, but less calorie filled cousins. It’s important to keep your meals convenient, enjoyable, and delicious. Take a day or two during the week to prepare as many of your meals for the next few days as possible, so you don’t have to make decisions each time you eat. Expect to occasionally go out with friends or have a craving for takeout. Plan ahead by taking a look at the menu, and knowing what you can choose that keeps you close to your goals for the day. Salads are often preferred instead of sandwiches, and you can choose to decline sides like French fries or rice. Instead of trying to lose X number of pounds by a certain date, take each day as it comes and focus on the smaller successes. Look at hitting your calorie goals for the day, and getting your workouts in each week. Weight loss is not a linear process, and the weight will come off with consistent effort and mindfulness about your foods. Having a set deadline adds stress to an already challenging journey, so keep your eye on the prize, and it’ll happen. What you really need to lose weight is a lifestyle change. And you can’t just change your entire lifestyle overnight. That is why I always tell people that weight loss is a marathon and NOT a sprint. The reason a lot of people fall into the yo yo dieting trap is that they see their weight loss journey as a sprint where they can just run across the finish line in a dash. Unfortunately, that’s not how this weight loss thing really works. And even if you are able to lose weight starving yourself, it’s never sustainable, which means, you are more likely to fall off the wagon and gain the weight back up. So it is always better to make small changes that are sustainable in the long run. Take it one day at a time! You may not lose the weight as fast as you would want to, but you will be able to stay the course for the long haul. And believe me, the weight will surely come off. And better still, you will NOT be jeopardizing your health. Bottom line is, yo yo dieting is dangerous – it impacts your health negatively and it’s not worth the trouble. Make small lifestyle changes that are sustainable and you will be okay in terms of losing weight and your general wellbeing. 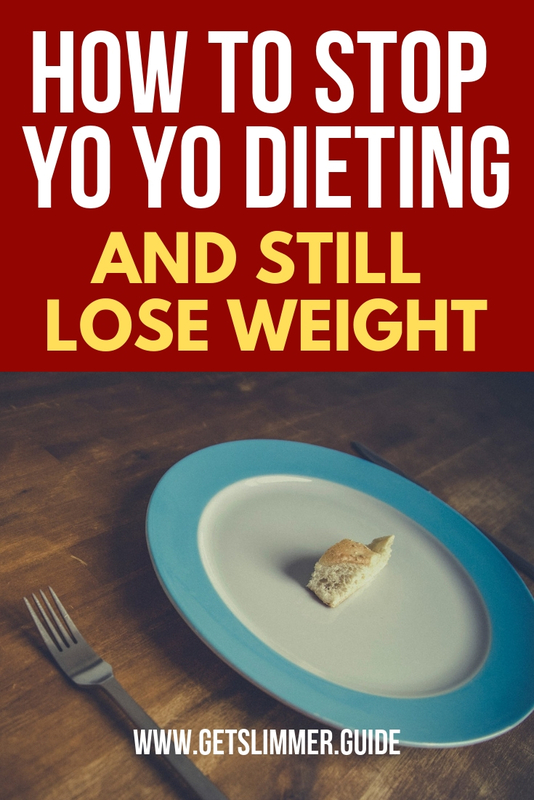 Have you tried yo yo dieting to lose weight before? Share your experience in the comment section.